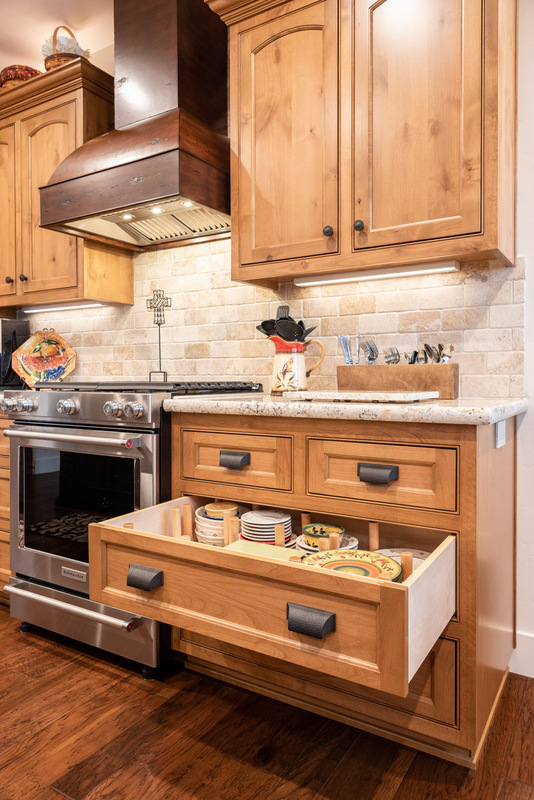 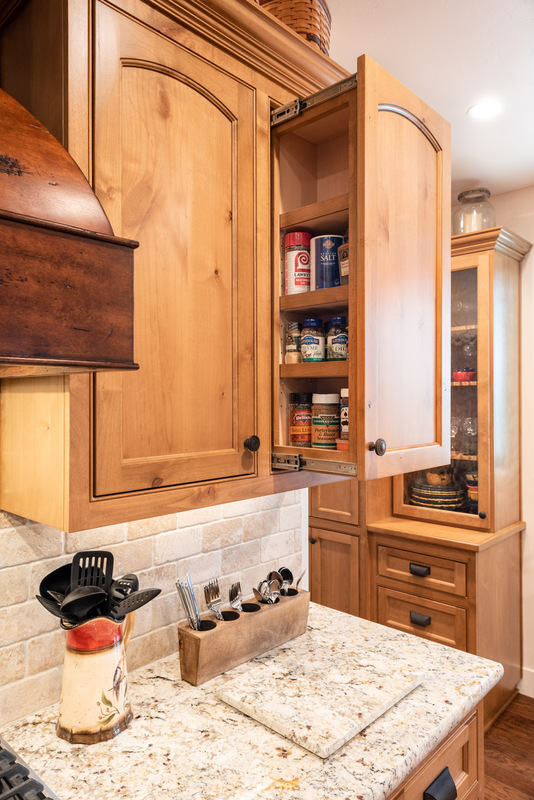 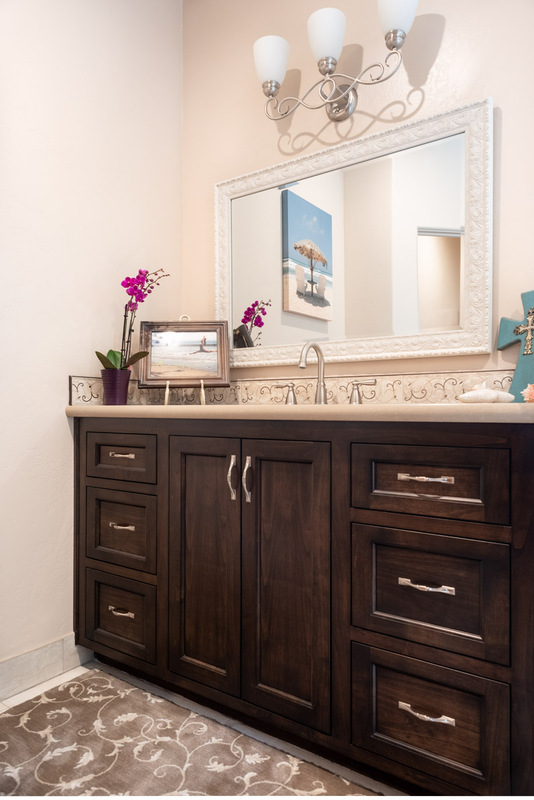 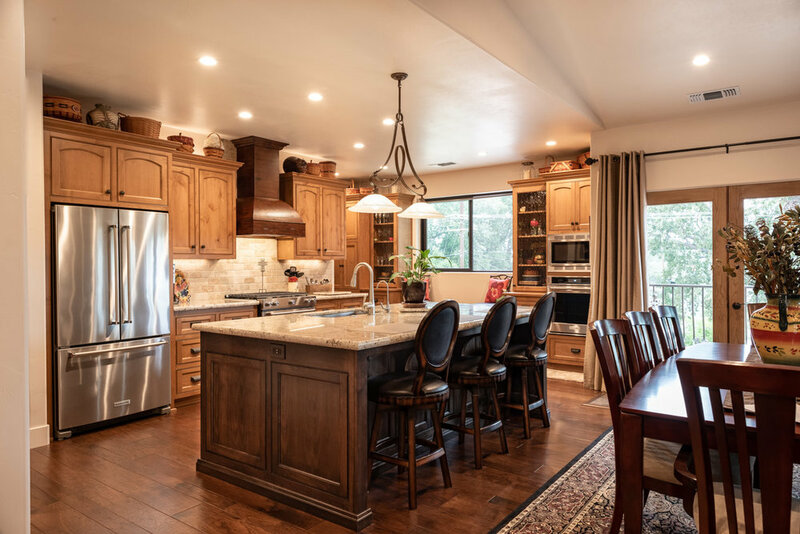 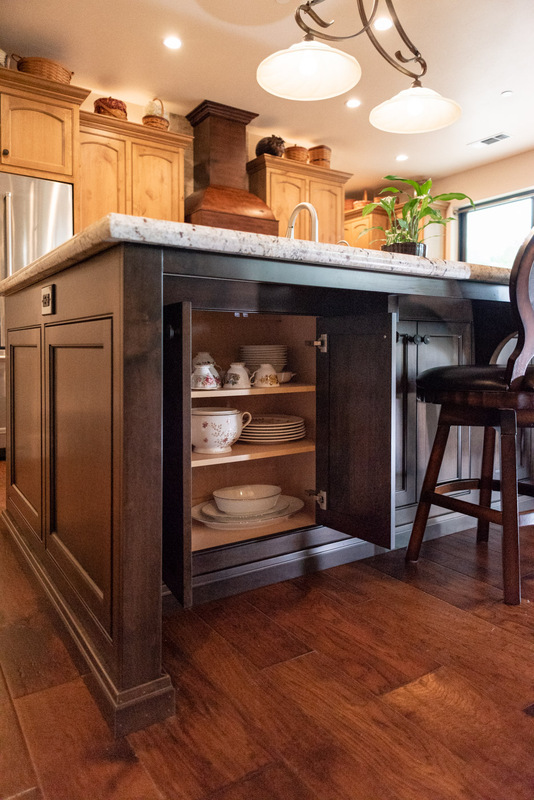 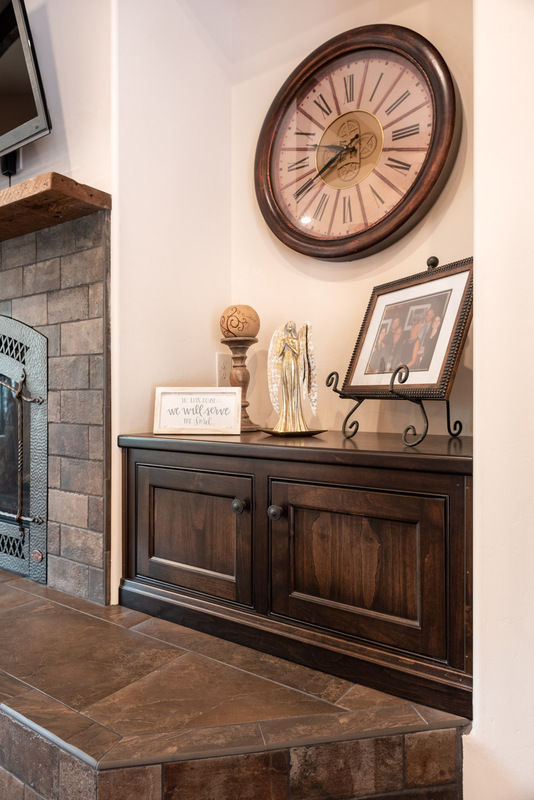 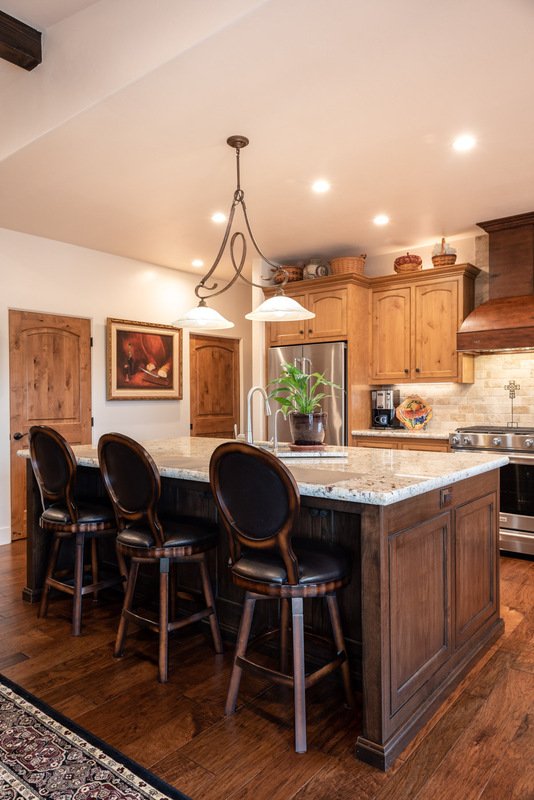 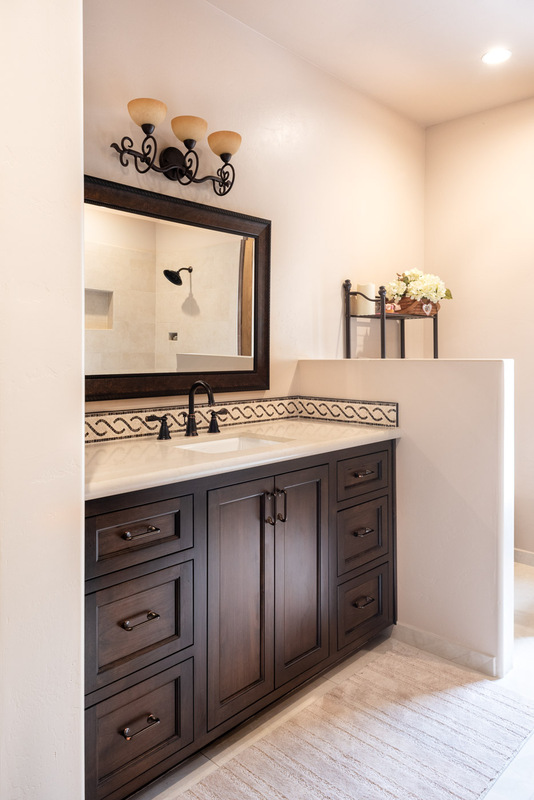 Tuscan Artisan custom kitchen and bathroom cabinets in Atascadero, California — Sligh Cabinets, Inc.
A warm living space with a hint of Mediterranean flair. 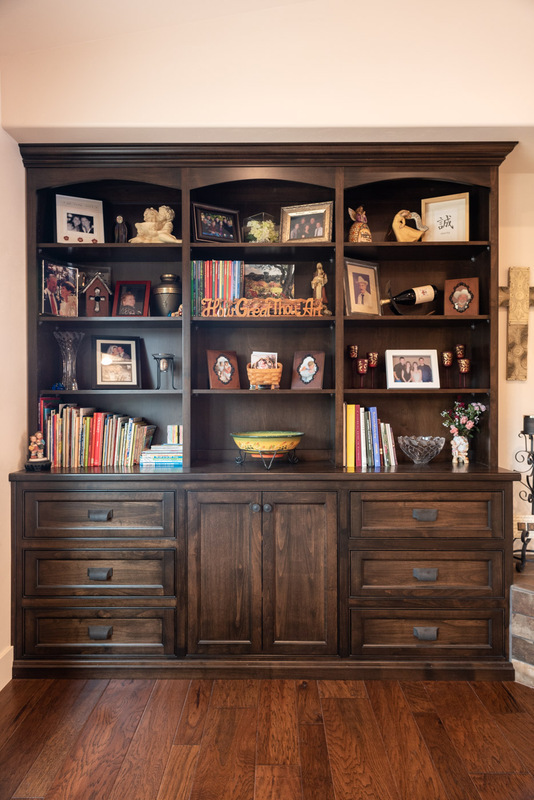 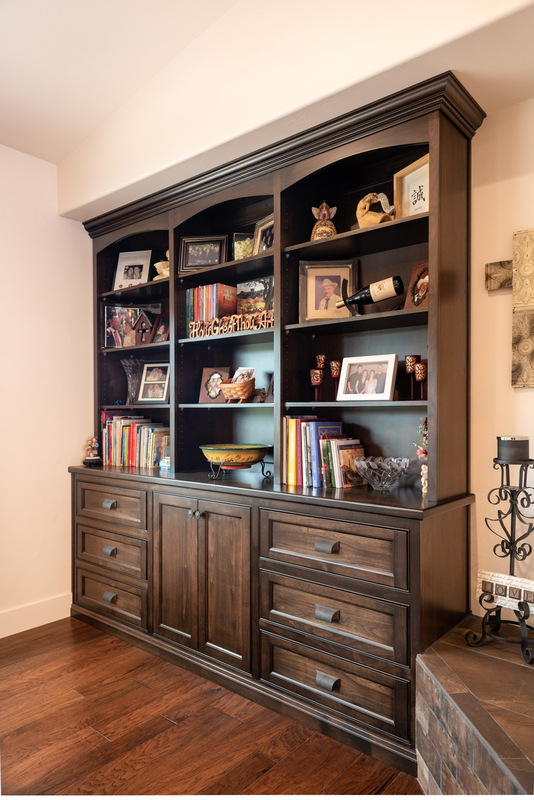 Dark and medium wood stains blend with bronze and black metal finishes to create a warm living space. 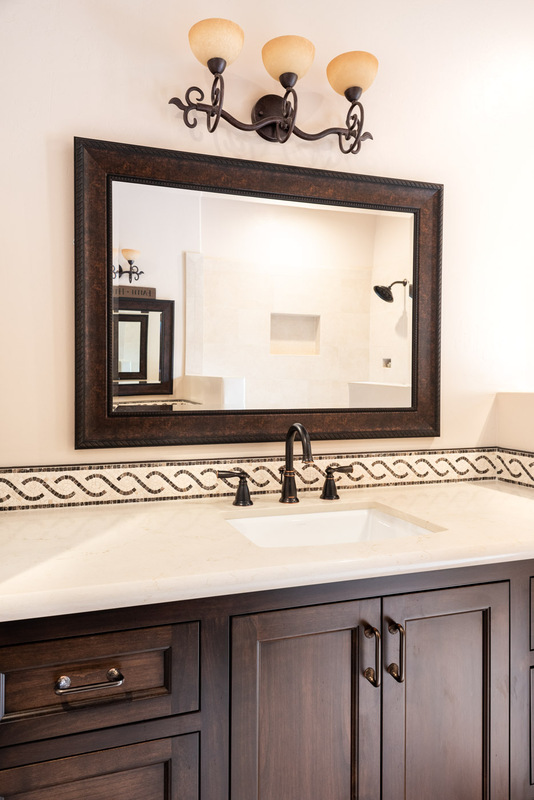 Light tone countertops and walls help brighten the room and create an inviting atmosphere. 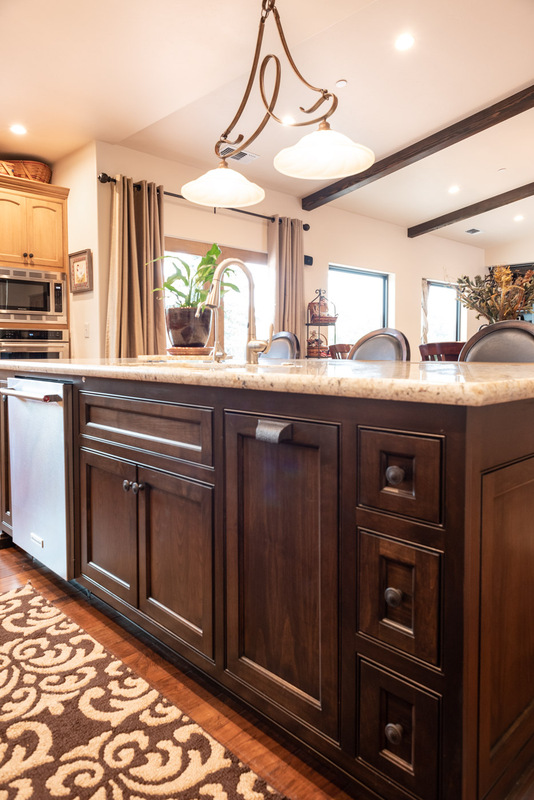 The large island and L-shape layout are a perfect fit for cooking and entertaining.